As a new kind of hi-tech product and the most rigid industrial material in the world, synthetic or called Synthetic Diamond Powder is widely . 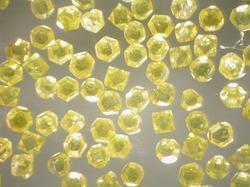 It's related closely to the development of industry, so synthetic diamond is praised as 'Treasure of industry'. We have excellent devices, complete testing methods and powerful technology force. types are from the lowest ZND2010 to the highest ZND2080. All the materials have stable quality, complete specifications and can meet all kinds of requirement from users. In the field of metallurgy.